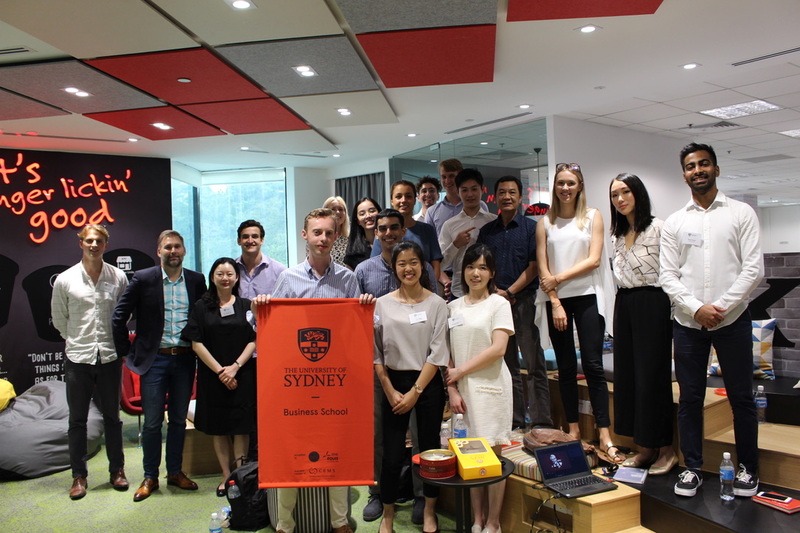 Representing the University of Sydney in a global finance competition has been one of the most enriching experiences of my commerce degree. 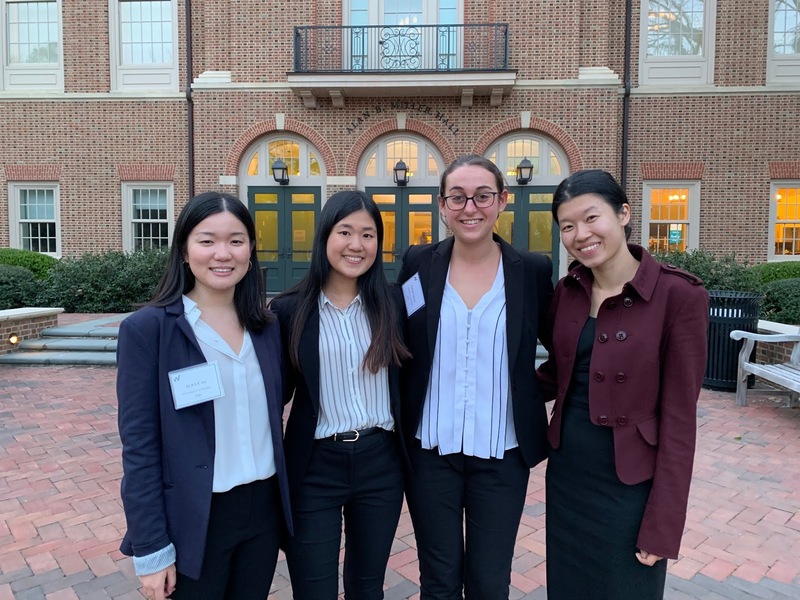 My team and I had the privilege of participating in the 'William and Mary Stock Pitch Challenge' in Virginia, where we competed against top universities including the University of Pennsylvania, UC Berkeley, Stanford and Cornell. Our recommendation to buy Nike’s shares placed second. Over the last couple of months, I worked closely with my team which comprised of Alice Cao, Chloe Segal and Nola Xie. Based off our research and analysis, we identified what the market had under-estimated with respect to Nike’s stocks, and from this we formulated a buy recommendation. We were judged on our investment recommendation, valuation and presentation skills. It was humbling to present to the judging panel comprised of industry leaders, many of whom were senior women leaders in the world’s most recognisable organisations. 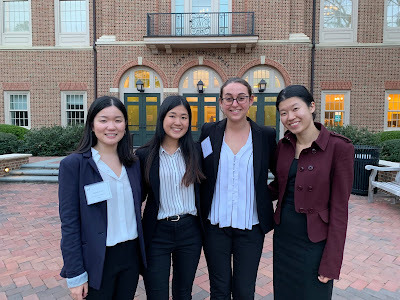 Our hard work was validated when one of the judges said "[I] asked the hardest questions I would ask professional managers and they nailed them." This competition aided us in developing both technical and soft skills. 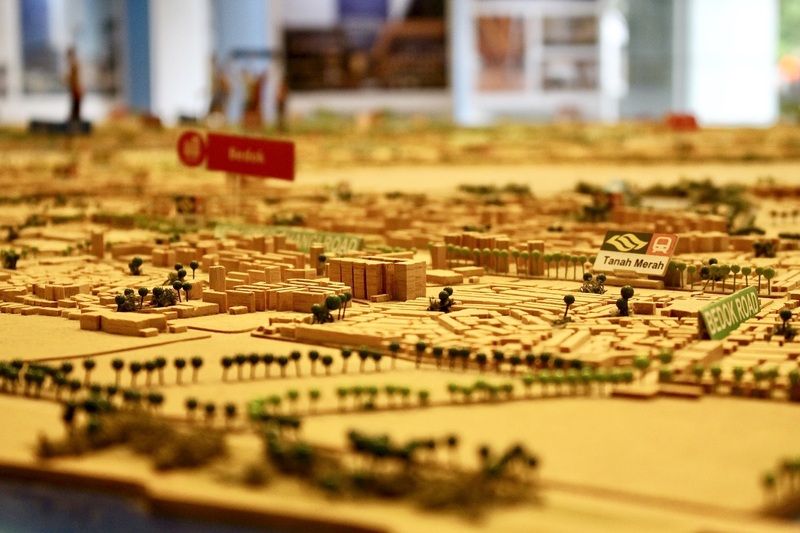 This included improved proficiency of modelling, to developing a stronger understanding of the quantitative impact of a transformative supply chain strategy on Nike's different geographical segments. 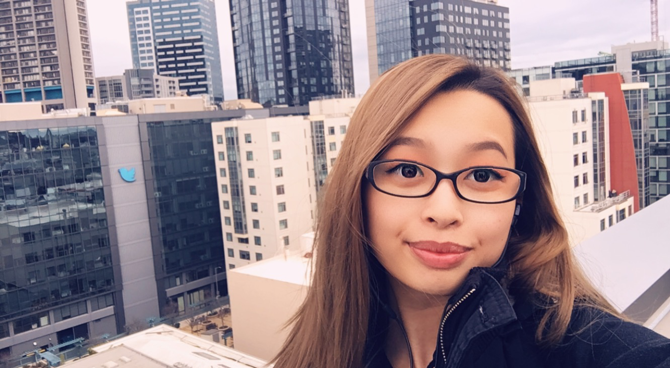 Participating in the challenge has increased my awareness of opportunities for women pursuing finance as a career, enhanced my curiosity for global financial markets and allowed me to apply my technical knowledge derived from Business School courses (such as 'Valuations' and 'Mergers and Acquisitions') in a practical setting. What differentiated this stock pitch challenge was the Leadership Summit component of the event. We participated in workshops regarding 'Women Helping Women' and 'The Key to Networking Success,' panelled by senior women leaders in investment banking, fund management, management consulting and law. Mentors were drawn from firms including JP Morgan, UBS, IBM, Blackrock, CFA and Morgan Stanley. Particularly as we are at the initial stages of our finance careers, it was very helpful to hear about the personal and professional experiences of senior women leader, as well as tips and advice they picked up along the way. This challenge has enriched my university experience. It was so inspiring to be surrounded by supportive and competent women in the form of other participants, academic and industry mentors and the judging panel. Experiencing college life in America, meeting local students, and travelling more generally just made the experience even more memorable. I would recommend this challenge to any student who wants to see what they can achieve when they compete against the best in the world. Prior to completing the Industry Placement Program, I had never travelled outside New South Wales on my own before. So why did I even consider going to the other side of the globe? For me, IPP was the right balance of academic, work and travel… the perfect opportunity to spend a summer in winter. In my first year, I had spent my summer break working full-time and eventually regretting a chance to do something different. When I had considered how I’d use my next break, I decided it was best to take a unit and, from my research, I found the Local Industry Placement Program (IPP). I was sold having attended the Info Session, as I realised the uniqueness of the cultural immersion offered by travelling to the US! As an equity student, hearing about the scholarships available made me realise that travelling would be realistic. In order to stand out amongst the competitive crowd, I had attended different sessions offered by the Careers and Employability Office and utilised their resources on Canvas to tailor my application. 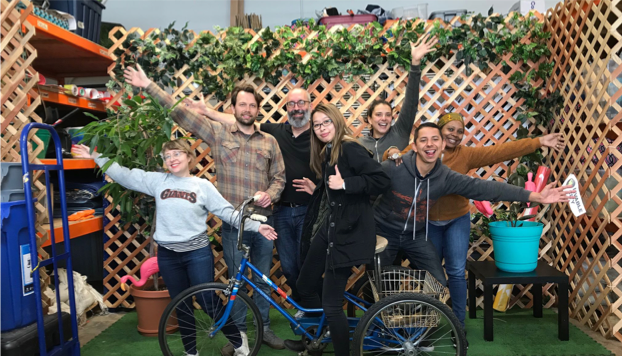 I was hired as a Policy Intern at Livable City, a non-profit organisation aiming to improve San Francisco’s liveability. I was nervous as I had limited experience in data analytics and no understanding of the local neighbourhood’s conditions. However, my co-workers were friendly and always wanted to know more about Australia. 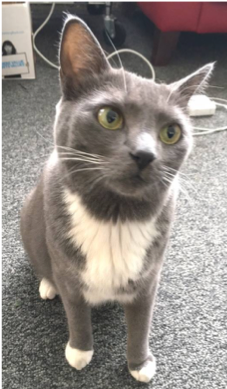 The comforting work environment and office cat (Puff Puff) made me feel as though I could easily ask questions about my projects. Upon completion of my placement, I had exceeded expectations by completing two different projects! To finish off my 5 weeks, I presented in front of the organisation on my findings, what I had learnt and my own perspective on San Francisco city. 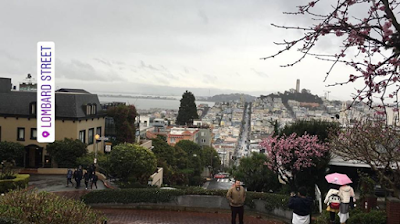 Highlight of the trip: my own San Francisco tour! The most important thing I learnt while travelling was to research how to manage my time. The first few days of having no sim card, not understanding where I was living or even having the bare necessities to live in my apartment were difficult. At that moment, I had promised to spend the following weekends exploring San Francisco sites, travelling across the bays and to show my family I was making an effort. My proudest moment was when I successfully pulled off a full day of visiting Fisherman’s Wharf, In N’ Out, the Maritime National Museum, Lombard Street, the Golden Gate Bridge, Chinatown, the Golden Cookie Factory, the Cable Car Museum and the Grace Cathedral! This gave me the confidence to spend the following weekends visiting other popular destinations and making time for the assessments in-between. The best part of the trip was reporting my adventures back to my colleagues and taking their advice on where I should go next. Now it’s your turn to apply! Completing this program has been transformative on how I approach university and work in Sydney. I have learnt to balance my professional, academic and personal goals through organisation techniques adopted in America. This has been possible due to the amazing team in the Careers and Employability Office dedicating so much effort in finding me a suitable placement. I have grown into a student capable of travelling across cities on her own, with a mature outlook on the workplace. Despite any concerns you may have, there is nothing to lose by sending in an application. My experience continues to live on as I stay connected with fellow peers, as well as my co-workers at Livable City. Submit your IPP application for your journey of a lifetime! 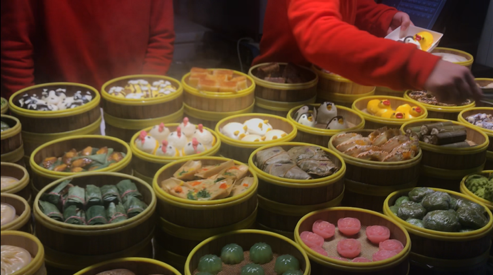 Singapore – a nation connected by food, but are traditions being overrun by Western influence and rapid economic development? Prior to departing Australia my knowledge of the Singapore cuisine was almost non-existent. I believed Singapore was filled with expatriates from numerous countries and as such thought that the food culture was one of insignificance. How wrong I was! Over the past two weeks my initial perceptions of food proved to be extremely naive. I have been exposed to a country where food is the underpinning foundation of its identity and the plate is used to convey and express the intricacies of an extremely complex and unique history. The influences of the Malay, Chinese and Indian culture all seep through in their own right resulting in food with dynamic, vibrant and explosive flavours that I can now distinctly attribute to being Singaporean. Further, the citizens recognise how this combination of flavour and culture create something unique. Everyone we interacted with, from Jeremy, a tour guide to associate professor Siok spoke with an enormous amount of pride for their country and identified as ‘distinctly Singaporean’ opposed to Malay or Chinese. There was also a clear passion for Singaporean food culture, apparent through Raymond and his son David who have a catering business aiming to maintain the Peranakan food traditions. However, the Western influence also seems to be growing, perhaps due to the rapid economic growth. This is most evident in the shopping scene as huge global brands dominate Orchard Road. However, Western culture also seems to be infiltrating the food scene. This can be seen through the emergence of food courts such as FOMO, where traditional practices are replaced for comfort and a modernised take on hawker markets. Even when there is a deliberate effort to maintain heritage, gentrification is inevitable. Places such as ‘Awfully Chocolate’ pride their image on maintaining culture, however everything from the layout of the store to the style of their dishes is shaped by changing and contemporary consumer preferences. 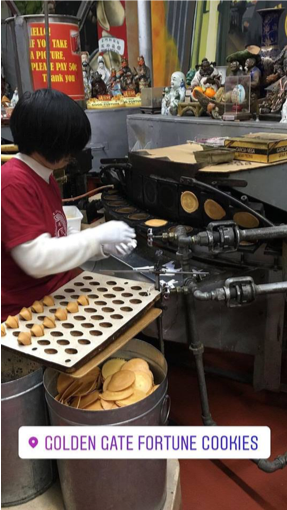 This led me to think, could the pace and speed at which the consumer operates be shaping a new face for Singapore food culture as we move forward into a new era, or will traditions stand the test of time? I for one believe tradition and new, more modernised preferences and way of life can coexist. Whilst there is no doubt the landscape of food is changing, this does not have to be at the expense of traditions. 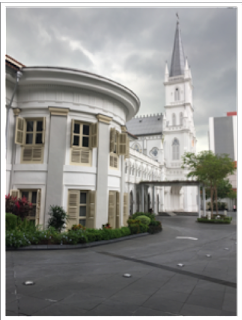 Whilst on my trail in Bugis I came across a street that perfectly captured this changing landscape. A giant shopping mall was perfectly juxtaposed to a number of small family run bakeries and shops. 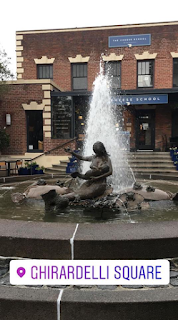 Standing in-between a multinational coffee shop, in Starbucks that is primarily concerned with their bottom line and a small Chinese diner that was filled with culture, heritage and character it became clear that modernity and tradition could coexist. It seemed the sheer size and magnitude of the shopping centre and the corporate giants that inhabited its walls, could at any point consume and overrun these small, family run shops. Nonetheless, here the two sat, existing in perfect harmony with consumers seamlessly floating between the two. It was not a battle between two eras, one was not a threat to the other, they complemented each other and offered things the other couldn’t - creating a plethora of options for consumers and a food lover’s paradise. 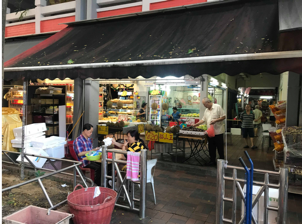 The overwhelming support for hawker markets to be placed on UNESCO also makes it abundantly clear Singaporeans value the customs and backgrounds that have shaped the present. Hawker culture and the masses of people that eat there every day represent the pride Singaporeans hold for their heritage and shows how admits a global economic hub traditions and core values remain unchanged from yesteryear. Ultimately, regardless of the direction and the influences that shape the future of food in Singapore it is clear food will always play a crucial role within Singapore’s society. As heard through Faizah, food is a vehicle that is used to establish and build relationships and communities. From the early time when food was a currency and used as a bridge that connects cultures and religions, to the present, food has and always will be the glue that holds a diverse community together. I can also safely say thanks to the New Colombo Plan program (and Dr Jeaney Yip! ), I will return home with greater perspective of different cultures. I have learnt so much through my time in this country and my view on the food culture in Singapore is almost the polar opposite of that when I arrived. I now understand the Singaporean identity is one built around food and have seen first hand how the food culture in Singapore is dynamic and constantly has global influences acting on it - evident through little pockets of every cuisine, ranging from Italian to Mexican scattered around the city. The Peranakans are a small but extremely distinct community in Singapore, whose culture manifests a confluence of colonial and indigenous influences. 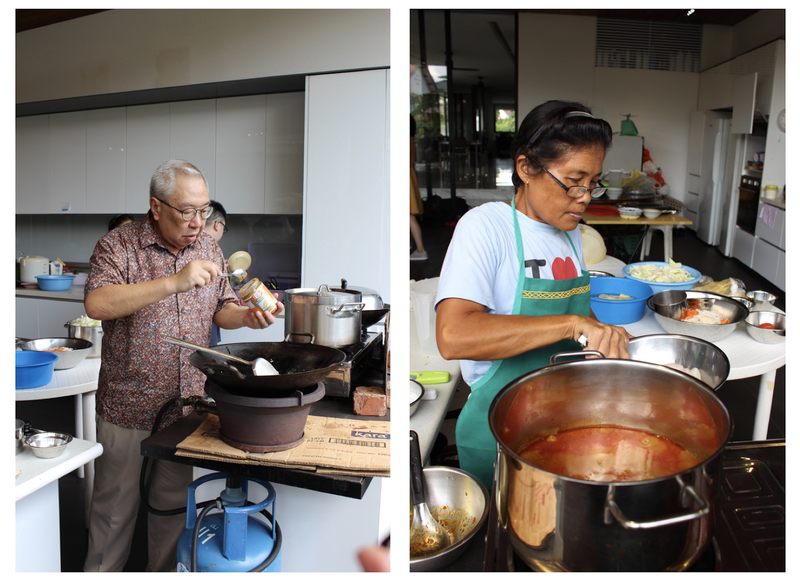 Food is arguably the most significant legacy of the Peranakans, and continues to portray a distinct role in the preservation of cultural heritage. As part of the New Colombo Plan Immersion Program coordinated by Dr. Jeaney Yip, I embarked on an individual “trail” to learn more about this unique subculture. 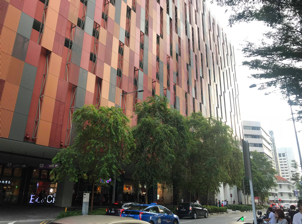 The eastern corner of the city-state is renowned for its rich and colourful colonial history, a key piece of Singapore’s transformation from a fishing port to the global commercial hub it is today. My first destination was the Peranakan Museum. Nestled in the corner of Armenian Street, its neoclassical architecture is reminiscent of the Straits Settlement bungalows occupied by the earliest Peranakans in Katong during the 1950s. Despite its size, the exhibitions express volumes about the pride the community takes in its unique culture. From the museum, I ventured further east towards Katong along East Coast Road. The bricolage of interacting colonial, modernising and nostalgic motifs translates to an extraordinary culinary setting that undermines the simple dichotomies often used to classify the dynamics of Singaporean cuisine, such as modern/traditional or local/global. Amid the juxtaposition of acai bowl cafes and traditional kopitiams, a sense of cohesion from the shared heritage architecture remains. 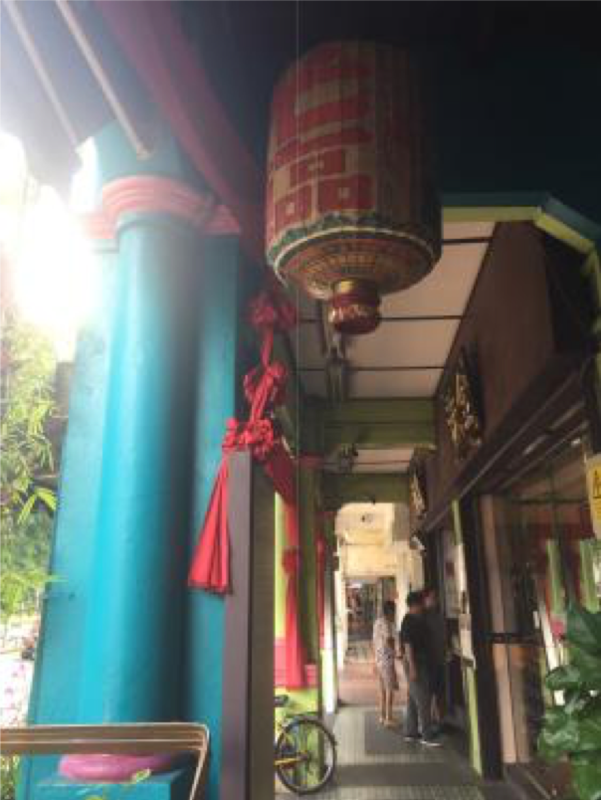 Dotted among the vibrant mix of modern cafes, parlours and fusion restaurants, there are old-world kopitiams, earnest traditional shopfronts, boutiques and heritage homes to be found, insistent upon preserving an authentic space for Peranakan tradition. 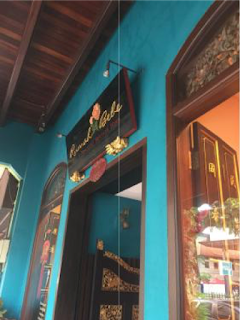 While some contribute to the oxymoron of “constructed authenticity”, Rumah Bebe is a heritage home that emulates much of the physical antiquity by which Peranakan culture is characterised; an ode to the traditional motifs pursued by elder generations who grew up in “old Singapore”. Openly displayed, brightly-coloured delicacies are a token of the geographical influences that shaped Peranakan cuisine: a blend of tropical flavours including coconut, pandan (a fragrant banana leaf), and palm sugar. Because of the confluence of Malay and colonial heritage, Peranakan cuisine has observed many aspects of the Indigenous Malay cuisine and tailored it to foreign acquired tastes. 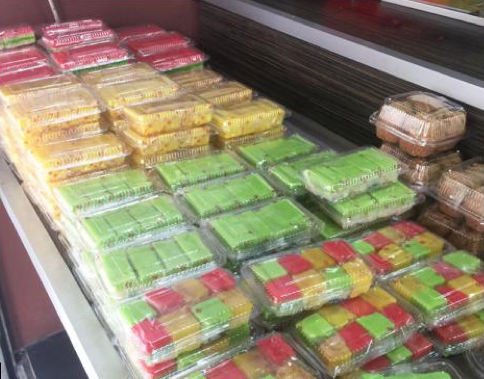 The availability of ingredients at the time has led to a distinct local cuisine that uses glutinous rice and tropical fruits for most desserts, while an affinity for aesthetics has inspired the use of natural colour-dyes, such as the green pandan leaf and the blue-pea flower, to enhance the visual appeal of food. Kueh Sarlat Cake and Kopi-C at Sinpopo Cafe. Blue-pea flower gives the cake its deep blue colour. What struck me was how colourful and visually appealing the cultural artefacts were: the garments, the buildings, the food. At the time, I thought the aesthetics purely served as a marketing point to attract the newfangled youth; however, upon reflection I now realise that it is this very aspect of culture that is important to the Peranakans, one that has remained relevant and perpetuated over time. Underpinning the mosaic of bustle and vibrancy is an underlying paradox relating to the preservation of cultural heritage through food. I was interested in the way that people elected the aspects of culture they wished to preserve and capitalise upon, manifesting a tension between entrepreneurial spirit and a penchant for nostalgia. Within vibrant facades of European pre-war architecture, vendors appear to self-reflexively project their heritage. Establishments serve foods bearing little resemblance to Peranakan culture and a much greater relevance to that which people are interested in consuming in the moment, all the while championing “true local Peranakan cuisine” in their shopfronts, legitimising and commodifying the culture for tourists. The eateries themselves embody a paradox of conflicting objectives and projects. 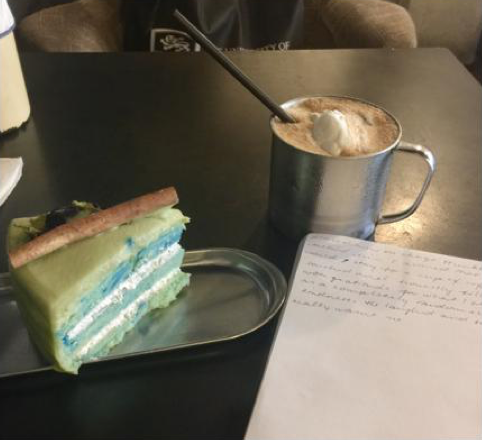 For example, Sinpopo, a modern café style eatery on Joo Chiat Road, claims on the first page of its menu that it is “not just some hipster café”, despite its media reputation for being exactly that, (as part of its appeal). In a similar vein, fusion restaurants attempt to emulate traditional dishes by tailoring their preparation to the physical and time constraints of modern day dining, eroding traditional methods in the process to remain relevant in a commercial context. Curiously, in the world of commerce, recognition of culture as impartial to major global business issues is an issue that is constantly overlooked. 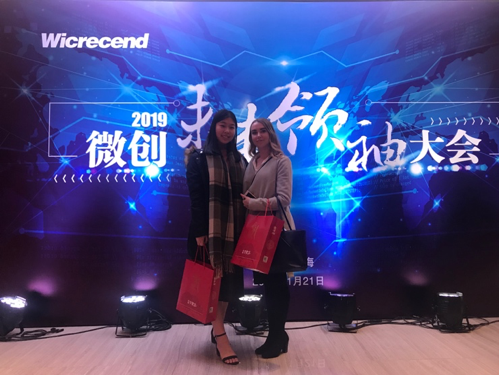 In an increasingly globalised world, it is becoming more important than ever to understand the nuances of cultural identity and how these impact social and commercial behaviours. 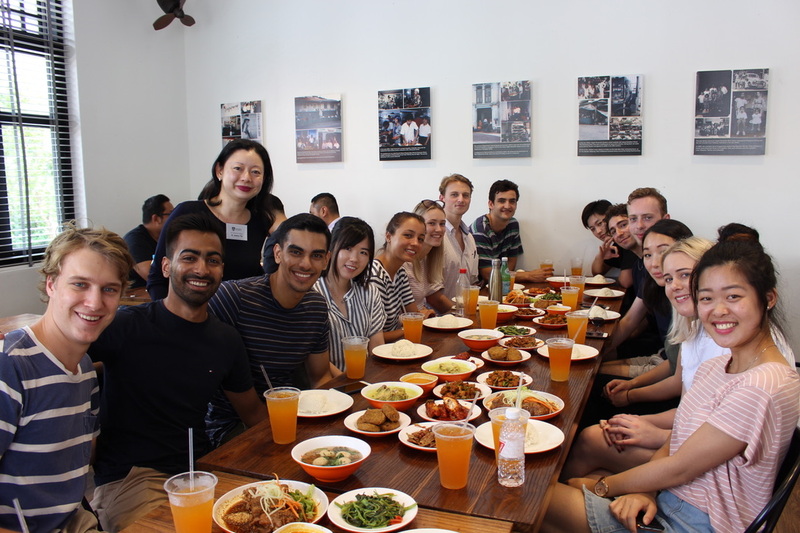 The New Colombo Plan Singapore Immersion Program offers an opportunity to bridge these perceived gaps, develop invaluable skills, network and gain humbling insights about business at least and people and the world at most. A special thanks to Dr. Jeaney Yip for coordinating the program; a vivid, deeply rewarding and truly enlightening experience. This quote by The National Heritage Board is an elegantly phrased reflection of Bugis’ colourful past; a past which gained international recognition in the 50s for its nightly cabaret shows performed by the transvestite community. A history starkly dichotomous to the nation's usual state rhetoric. Due to this, it is one which is somewhat white-washed following its revamp in the 80s, with the only remaining indicator being the name itself. The name refers to the seafaring people of Sulawesi who settled in Singapore, pioneering it to become the regional trading hub that it is today. The Bugis people, originally Hindus, were converted with the arrival of Muslim missionaries, with the majority of today’s community embedded within the Malay culture. Upon exiting the Bugis MRT and scurrying through the bustling grind of Victoria Street, I noticed there existed little to no resemblance of this colourful past. Without prior knowledge, I would have been completely unaware as to the cultural and historical significance of this neighbourhood. The area simply reflected to me a meticulously cultivated modern metropolis. Such insights have helped grow my business acumen, teaching me to look beyond surface level factors and consider other deeper contextual and cultural factors. Since my arrival in Singapore, it was constantly reiterated that an individual's food choices often reflect their ethnicity, their felt ethnicity or more broadly their identity. This idea became increasingly apparent during my observations. My initial impressions of Victoria Street were that it was littered with food chains and exuded consumerism. However, when exploring deeper it became apparent to me that the food available was unrepresentative of the Malay culture or any one distinct culture. It housed a diverse range, from Popeyes to Garibaldi’s Italian Restaurant to even contemporary Australian food. The food available to me diverted from this traditional standpoint and, in my opinion, represents the shifting landscape and demographic of Singapore and Bugis. 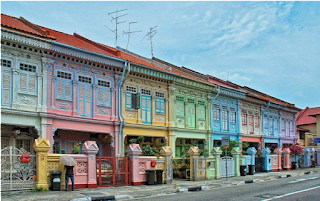 This heritage precinct, now deeply infused with art, culture and fusion food, alludes to the growth and ever-changing global identity of both Singapore and its citizens. Having borne these pre-conceptions, I was expecting to see extensive evidence of traditional Malay culture within the area. These pre-conceptions of traditionalism were heavily contradicted early on, most prominently when I ventured to Artichoke Café & Bar. The walls were coated with posters, LED lights grabbed my attention and the blaring sound of 90’s hip hop filled the al fresco dining area. I was astounded by the atmosphere, housing that of a younger working demographic. It whole-heartedly encapsulated the shifting landscape, oozing this idea of modernity. As best epitomised by the chef himself, Bjorn Shen, “Artichoke is probably the least authentic restaurant around. And that's exactly how it should be.” The menu accommodated items such as "Squid ink couscous" and "Lambgasm". Initially, I stood there simply perplexed, prompting a state of reflection about my initial preconceptions. It resonated with me that the premise of the restaurant was not to divert away from these traditional identities and cultures, but to simply try encapsulating a more relevant "Singaporean identity". The food available infused and drew inspiration from traditional flavours, adding a modern twist and scenery more suited to the shifting identity. As a Business Information Systems major who examines systems and proposes improvements to adapt to current circumstances, it’s been fascinating to see this in practice in relation to the adaption of cultures and identities. Moving further into the Bugis and Bras Basah area, this idea only became more apparent when visiting Chijmes, an Anglo-French Gothic chapel refurbished for dining and entertainment purposes. I stood there astounded at the ornately constructed masterpiece, which stands in stark contrast to the central business district in which it resides. 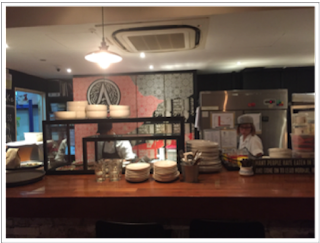 Now home to 23 restaurants and cafes, to me, like Artichoke, it has attempted to shape a modern identity for the precinct. It has conserved this traditional element through its distinct architecture and infused a modern appeal through its diverse food offerings: an attempt to maintain the old rustic charm of Singapore, yet convey a modern ambience. The subsequent growth of Singapore has prompted this gradual shift in identities away from the distinct Chinese Malay Indian Others (CMIO) ethnicity model. The emergence of fusion food has helped cultivate and illustrate this shift, one which is strongly apparent within the Bugis and Bras Basah communities. 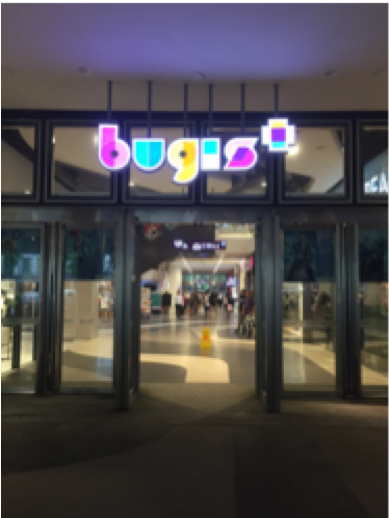 If you had asked me at the beginning of the trip about Bugis, I would have neglectfully answered that it was on the downtown line, a few stops from Stevens. However, upon engaging on the trail and the Singapore Immersion Program, it’s reshaped my understanding of the role food plays in terms of articulating one’s identity. The shifting role food plays in society illuminates the idea that no one’s identity is of a static nature. The program has further taught me to challenge my predispositions and question everything. Overall this has been truly a tremendous experience. I’d personally like to thank the Department of Foreign Affairs’ New Colombo Plan for providing the funding and support for this program. I’d further like to thank our unit coordinator Dr Jeaney Yip for the effort she put into planning the program and ensuring we had both an enjoyable and unforgettable experience. 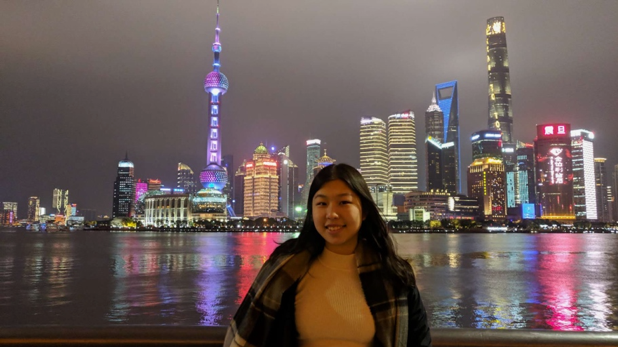 I applied for the Shanghai Business Immersion Program on a whim during my first year at University and was lucky enough to be offered a placement – I have absolutely no regrets. It was my chance to explore my personal aspirations of working overseas while I was still young. 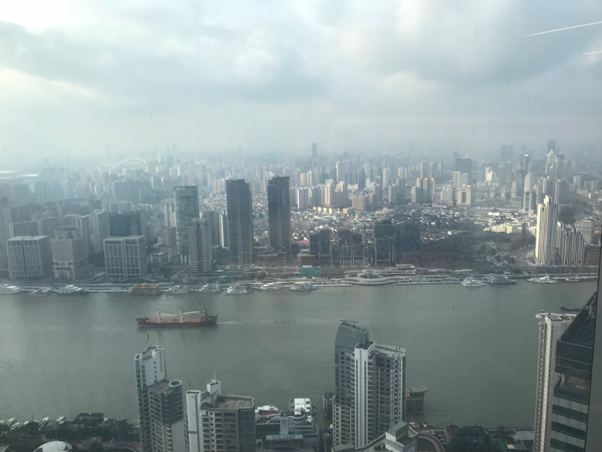 As an Australian born Shanghainese, I grew up with an immense appreciation of Chinese culture. As I got older, my fascination extended to the rapidly evolving Chinese economy and business sector. I wanted to challenge myself and develop independence by throwing myself into a new cultural, social, professional and political environment. 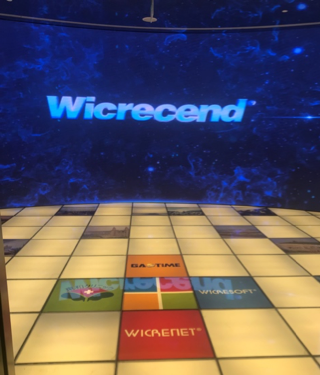 During my six weeks in Shanghai, I worked at Wicresoft, a subsidiary of Microsoft as a Financial Research and Business Development Intern in the Shanghai Tower (the second tallest building in the world). My work usually consisted of constructing a daily finance, politics or global newsletter that would update the international associates of Gaotime, a leading advisory and financial information provider (similar to Reuters/Bloomberg), constructing comparison reports for NYSE/NASDAQ listed Chinese companies, formulating and presenting opinions on business insights and occasionally helping with event preparation. 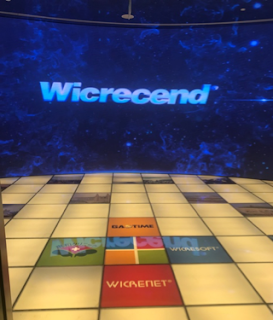 I was also able to attend exciting company events such as their Future Leaders Conference where the company’s top 100 employees with prospective leadership qualities gathered for a convention allowing me to meet and hear from many C-suite executives and the company’s AGM events. 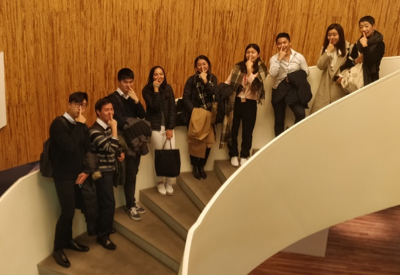 From this experience, I have not only gained industry insights in the Financial Research and Business Development sector but also career path direction. I realised that the sector is not for me, but I have been able to hone in on my interests and gain clearer insight into my aspirations. However, I was able to employ the skills I’ve learned in my degree within the workplace, enabling me to see the true benefit of the skills taught at University in a working environment as well as develop soft skills such as oral and written communication, teamwork and initiative. 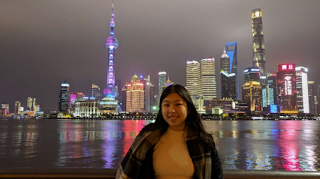 The immersion program is unique in that it allows students to not only gain valuable corporate experience but also deeply engage with their host country’s culture and develop skills of intercultural fluency and understanding that is becoming increasingly desired in the workplace. This comes from seeing the nuances between Australian and International business, cultural experiences, understanding unfamiliar professional practices e.g. 'guan xi' in China and adaptation to social norms. Another substantial reason to do the program is the tight-knit bunch of like-minded, exceptional friends you emerge with. You’ll form unbreakable bonds with the other students in the program with everyone going through the same first-day anxiety, too many food adventures (Chinese food is so tasty and cheap), cultural shocks among other great highs and lows for six weeks, ultimately gaining a support network for life. So, if you’re wondering whether you should apply for the program or not, I say 100% go for it! You have absolutely nothing to lose and everything to gain! 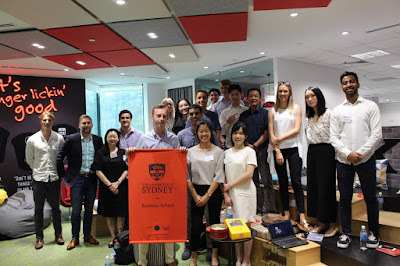 Applications for the 2019 Singapore Immersion Program are now open! Apply by 4pm, 24 May. This was one of the biggest takeaways during my time on the Singapore Immersion Program. “I’m not going to be one of them,” I said to myself…lo and behold, look at me now! But it’s true. A textbook, a lecture and a tutorial can only teach you so much. So, when I saw the little advertisement going around about a 2-week program in Singapore, I literally jumped at the opportunity. Not only did I see this as a once-in-a-lifetime chance for me to develop my researching skills, I also saw it as a means for me to investigate for myself whether or not this was really true! What is the Singapore Immersion Program? It’s a two-week cultural immersion program where students are asked to put their researcher hats on. Through individual- or group-based investigations and projects conducted in-country, we were able to understand and analyse an important demographic trend that significantly impacted Singaporean businesses, societies and markets. Luckily for me, the theme this year was “food”. Now, you might be asking yourself, why did she say “luckily”? Well, I am a major, proud and passionate foodie. I actively go about consuming different types of food around Sydney and, of course, I take too many aesthetically-pleasing food photos for the gram! But, after reading the advertisement of the program I realised that I was completely unaware of the other aspects of food. So, one of the main reasons why I signed up for this was that I hoped it would allow me to go beyond a superficial understanding of food. For example, I wanted to uncover why specific people, like myself, develop such a growing appetite and appreciation for food – especially in terms of how it connects to identity and culture. Surprise, surprise! I found that the compulsory individual research project was the best way for me to do this! Specifically, students were asked to write a report evaluating how food impacts different stakeholders – businesses, societies and/or markets. 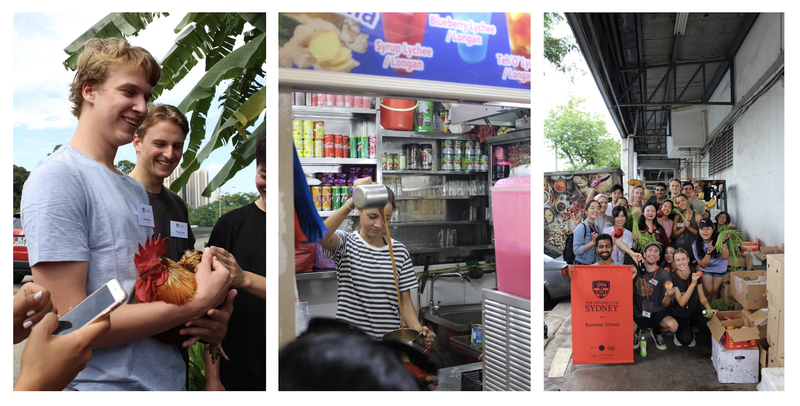 While I explored how culturally significant and embedded food is to the lives of the everyday Singaporean, other students researched topics such as food security, waste, sustainability and perceptions. Contrary to this, the group presentation was a different story. Here, we entered the corporate world and gained insights into how food is marketed and advertised to its consumers. In particular we were given the amazing opportunity to develop a marketing campaign for the one and only KFC Asia. As a marketing student, I was acclimated to creating creative projects for businesses. But instead of leaving the campaign to the side to collect layers of dust, from this experience I was able to polish up my presentation skills and finally get a real-life test run pitching and gaining valuable feedback from an actual company. The first would probably be how diverse the activities scheduled in the itinerary were. 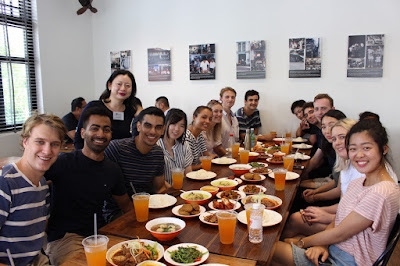 Thanks to Dr. Jeaney Yip for creating such an extensive program, other than eating a lot of food, we were able to experience Singapore to its fullest. From visiting an urban farm, artisanal soy sauce maker, a brewery, Fishery port; having classes at the National University of Singapore; participating in volunteer work for Foodbank to having real conversations to business owners, locals and food specialists, I was able to experience every facet of the value chain that “food” is involved in within a food-hungry country like Singapore. Not only did I learn more about food, but I was also put to the test. First, I want you all to imagine a 21-year-old university student, who schedules everything to a T and would only become an extroverted human being when it is absolutely necessary. So, it’s kind of obvious right? This particular program definitely took me out of my comfort zone. Since we had something to do nearly every day of the trip, the program really put my organisation skills to the test! I had to juggle the day-time activities, completing assessments and fitting in as many touristy bits during my free-time simultaneously. While it felt intense, this program has definitely advanced my ability to maintain a healthy and balance lifestyle. Additionally, due to the individual research project I had to say goodbye to my introverted self for a while. 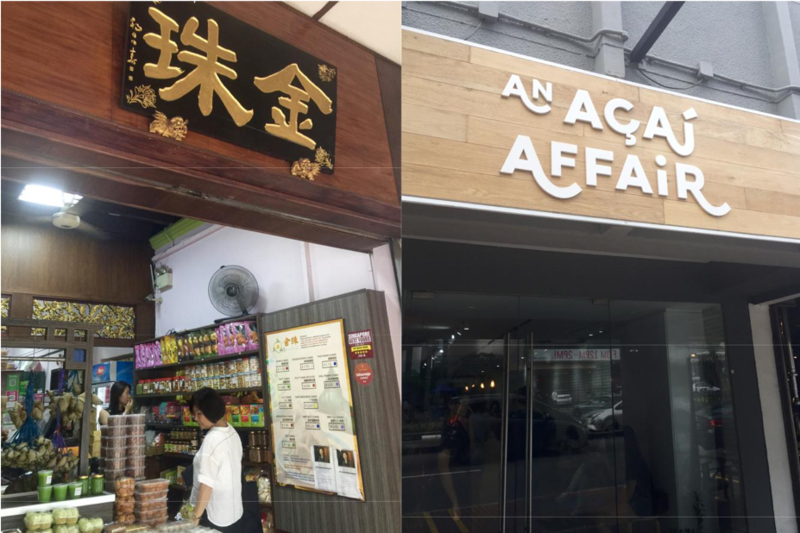 To understand food in Singapore, I had to culturally immerse myself. So, that means approaching and interviewing locals to uncover how food is significant to them. Despite it being uncomfortable at first, over time I improved and developed the confidence to objectively extract information like a researching pro! With 15 students literally living, breathing and most importantly eating with one another for 24 hours of the day, I don’t think that you’d be surprise if I said that I think I’ve made friends that I will meet-up with every month, grab a coffee and nostalgically laugh about our experiences in Singapore. I know it’s a real cliché, but I think if it wasn’t for this trip, I wouldn’t have met the friends I made. Isn’t it just a beautiful and magical thing? This one program can bring together long-term friendships? So, my advice to you? If you’re interested in being culturally immersed in another country, learning in ways you cannot possibly learn in a classroom, and you see an advertisement land in your university inbox, don’t click delete. Open the email up, read it. See if it interests you and do it, apply for it. I can promise you, you won’t regret it! I would also like to take this opportunity to thank Dr. Jeaney Yip for putting so much effort and dedication toward creating such an amazing and rewarding program. I have truly grown and matured as a student and I really owe it to people like her for making these types of programs available for all students.